At South Plains Church of Christ there is a special group called "Silvertones." Silvertones are senior adults who are living out God's Word through friendship and service. They participate in a monthly potluck lunch as well as one other activity each month. These extra activities include: Breakfast, Game Night, Seasonal Parties or Special Events. 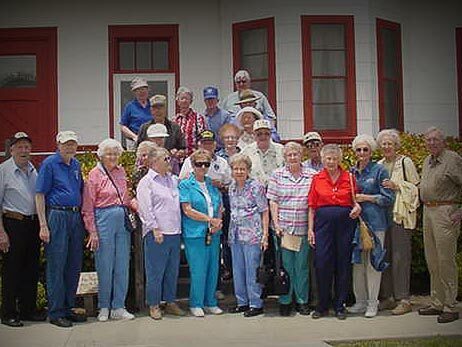 Silvertones also participate in many vital ministries at South Plains, including: Seniors Praying for Seniors, Pillow Ministry, Greeter and Visitation Ministry, Workroom Ministry as well as projects related to our facilities. A widows support group also meets weekly to play games and eat supper together. Cecil & Vickki Norris, and John & Pat Armistead serve as leaders for the Silvertones. They have a great passion for this ministry. These couples plan most of the activities, and all you have to do is come. Among the Silvertones you will find unconditional love and friendship. Just when you think you have completed your life's assignment on earth, guess what? God has a better idea. God called Abraham in his old age and made him the father of a great nation. God called Moses at the age of 80 to lead a nation out of Egypt. What wonderful examples for us; to know that when we are serving God we are never too old to begin something new. So whether you are graying gracefully or aging reluctantly, we want you to become a part of the Silvertones!